You must make reservations at least 5 minutes in advance of the time at Ondori. Tropicana Ave. & Arville St. Valet Parking available, as well as self parking garage and several other lots. 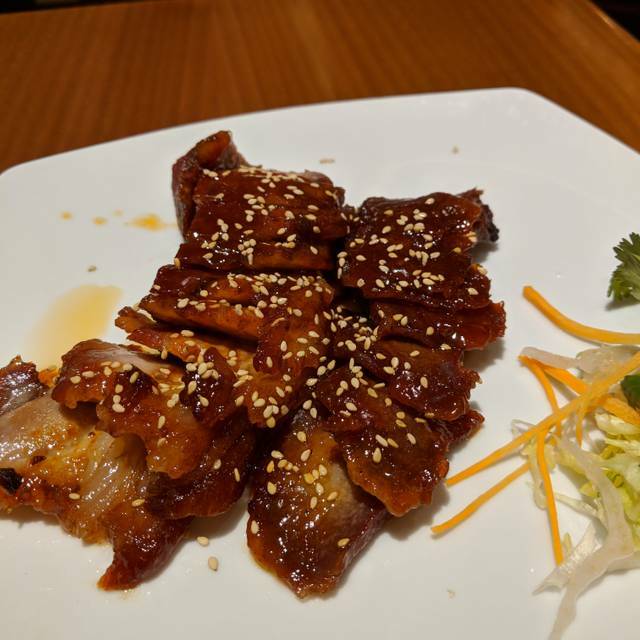 The best of two worlds combine at Ondori Asian Kitchen where we feature authentic Chinese entrees along side our large selection of your favorite sushi dishes and Japanese cuisine. Tomo meaning "both," or together, is what we are creating with our Tomodomo small plates. We would like you to experience both worlds of Japanese and Chinese cuisine "together" by mixing and matching our specially selected small plates. Try some of our Tomodomo offerings with one of our beverage pairings, share with a friend or indulge with one's self. Tanoshimu and Xiang! Great food, great service, friendly staff, great value. we thought Ondori was a great value. We had 1/2 crispy duck with sweet sauce and it was outstanding, crispy and juicey. Also had potstickers which were very good and a wonderful sushi roll. We were very surprised. The ambiance is also very nice. This is our second time at this restaurant and both times it was fabulous. We eat a lot of sushi in many different cities and find this to be one of the best. We also love your sushi chefs as they’re always entertaining and amazing at what they do. I love to sit at the sushi bar. We will be back. My wife and I have been coming here every two weeks. The food is excellent. The price is on par for such great food. It's very popular, so I highly suggest reservations. The fried rice was not very good. 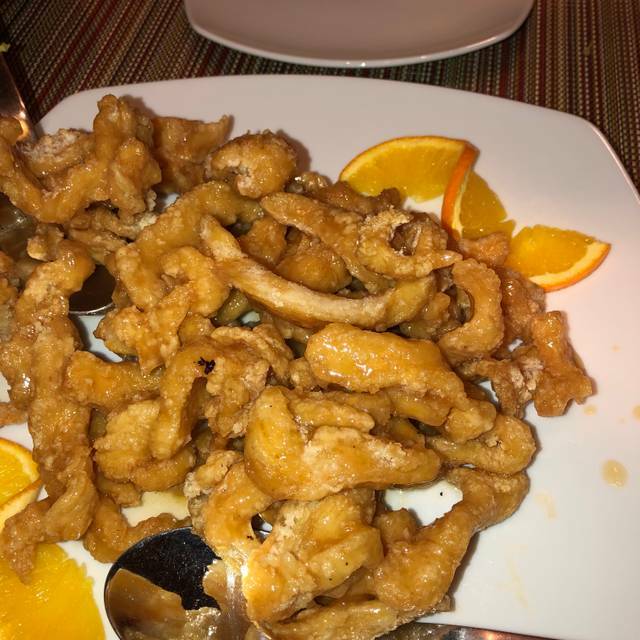 And the crispy orange chicken was not crispy. We also ordered a sea food salad. That was far from being a salad. The price is good, but they have to step up on the quality on how they prepare their food. This restaurant with WONDERFUL food is located inside a very large casino and hotel. Lots of noise, people and over priced food, which as noted above is of excellent quality. The food is so good in fact, this was our second visit during a 6 night stay. So take my negativity with a grain of salt. I'm simply writing how I feel about the "other" part of a restaurant experience. We eat at Andori when we are in Vegas once a year for a couple weeks usually two or three times. Vegas rolls are my favorite as well as the steamed pork dumplings & Ragoon. The fried rice is also very good. Really all their menus items are excellent I am just partial to those. I highly recommend eating there if you like sushi, Japanese, & Chinese food. I love coming to Ondori at The Orleans Las Vegas. Everything is wonderful and a great experience. We had to wait a bit despite our reservation. However, once seated our server couldn't have been more helpful. If there was a downside, my martini was not as cold as I would have preferred. I took ice from my water glass to cool it down. I had the impression the bar tender didn't shake it with much ice. Other than that, we were quite pleased with everything else and will return. From start to finish everything was great, service was good, some instances lil slower than the norm but that’s probably because they want you to feel comfortable and not rushed. Beef broccoli and canton spear ribs are delicious and a must try. An excellent "in casino" Asian restaurant. Food is excellent. Prices are still under high end places. It gets very crowded at dinner time of course. Call ahead and reserve. And if you don't, they have a very good waiting service to call you when ready. Great menu, so many choices. Friendly, helpful staff. We were at the Orleans for a competition. 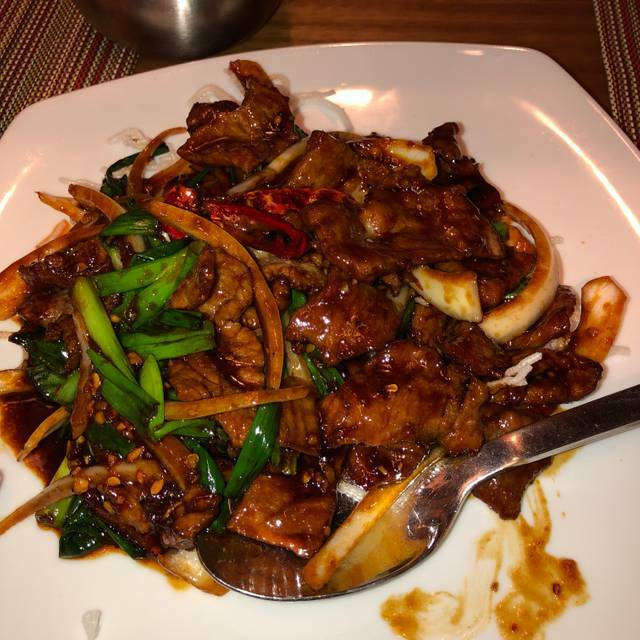 I was pleasantly surprised by the cost and quality of the food as well as the service. Excellent service and the food was great. Every time we are in Vegas, Ondori is on our iterinary. Orange chicken was cold and pork fried rice was just Luke warm. Had to send back very disappointed. We weren’t sure what to expect - it was a busy restaurant on a Sunday night and the food was excellent. We were told the sushi would take a while to prepare (20 min) but it ended up being shorter. We would return! It wasn’t our first option, but it should have been. Very good comprehensive Asian menu. Perhaps the best soups and salads I’ve ever had in an Asian restaurant, especially the wonton soup and cucumber salad. Add Dim Sum items, sushi and plenty of great stir fry items (great Mongolian Beef) to complete the meal. Nice portion size. beef and eggplant - beef was tough and dish was salty. 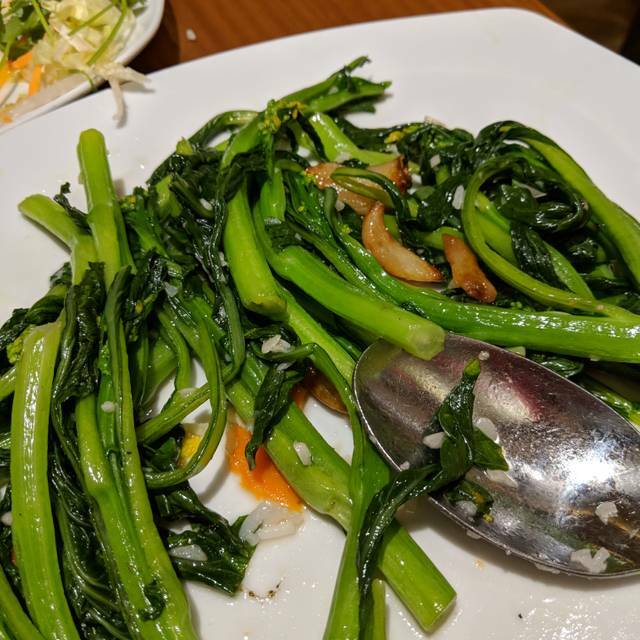 snow pea tips - not what i had in other restaurants, but tasty. screaming o appetizer - very small portion for $16. 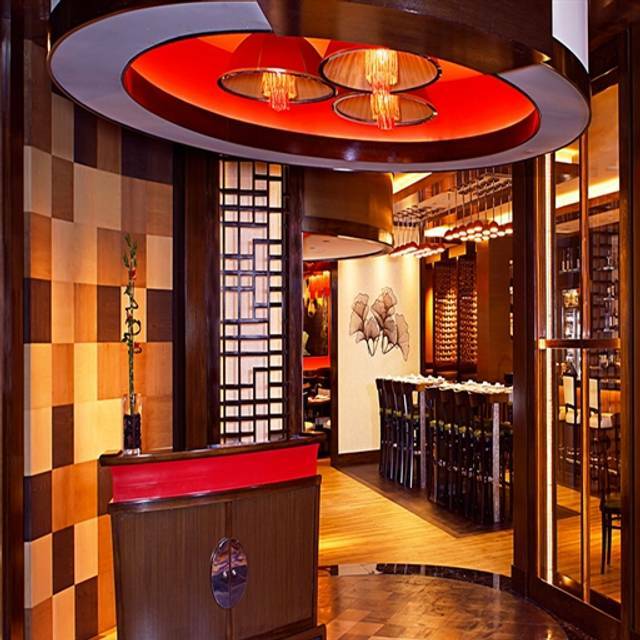 overall, 3 stars, lots of other choices for good asian cuisine in las vegas. Three lunches and two dinners in six days. We look forward to eating here every year we come to Las Vegas for the Curling event! Outstanding! Service was not that great, especially since the restaurant was pretty empty. Had to keep asking for water refills, etc. Food was also just average, mochi ice cream dessert was served when it was already partially melting. A little disorganized, but great menu of Chinese and Japanese entrees. Large servings at reasonable prices. Have always loved this restaurant. Food is excellent, tasty and hot. Christmas dinner. Great food, but due to the volume of people it was a bit hectic for the servers. All good in the end. Always a good time. Elise is the best server there hands down. She always takes great care of us and always has a big smile on her face and always engage in great conversation with us. Walter is one of the best servers I’ve ever had. Food was delicious and the whole experience was wonderful. Great service and wide variety on the menu. Sushi is fresh! My friends and I were happy with Ondori—a restaurant that serves both Japanese and Chinese food. It’s inside the Orleans Casino but once you’re seated you would never know it. We all liked the Peking Dumplings filled with pork and vegetables, the cucumber salad and Alaska Roll. My friends normally love spicy food but they found the Hot and Sour Soup and Fire Sushi much too hot for them so keep that in mind. They have a small plates menu that gives you lots of choices at $5-$9 each. Great restaurant and great service. Food is always excellent and they accommodate special requests. Everytime I have been it has been a treat. Love it! One of my favorite restaurants for noodles, so satisfying! We arrived 7:45pm at Ondori but the waitress said to us to wait for 20-30 minutes. It was busy because it’s dinner time. Waited until 7:55 then I tried to check Opentable and able to seat us at 8pm without any problem. Not the quality of sushi that I expected. Love this place. I come to Vegas every year for the Mr. Olympia weekend. My wife and I always make it our last meal, before we head back home. Can't go wrong with anything on the menu. See you next year. Been there many many times and everytime it was fantastic . Have recommended it to many friends. The staff is awesome😄 and the food is delicious ! So, the food was good. We had sushi. Tasty and fresh. The reason you sit at a sushi bar is because you want to interact with the sushi chef. Both chefs had zero personality. What a disappointment.